Gas grills may lack the romance of charcoal, but they offer instant, even heat that puts charcoal to shame. They also boast precise temperature control, which makes it easy to cook delicate foods that might be wasted over 700°F hot coals. 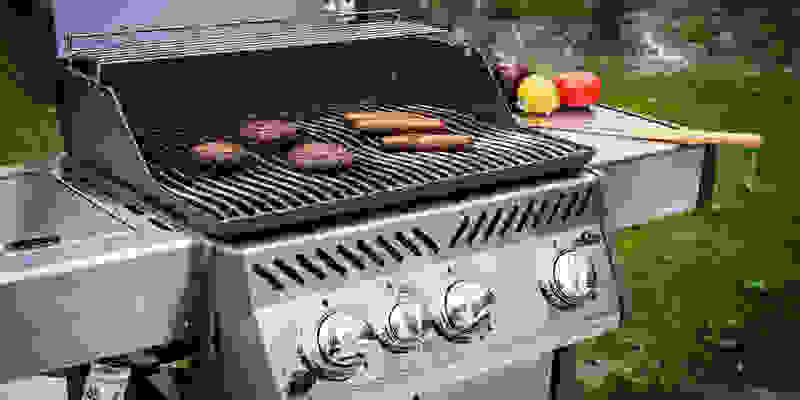 But while choosing gas is a relatively simple decision, picking which gas grill to purchase is considerably more difficult. From big brand names like Weber to the generic grills that crop up in your local grocery store every spring, there are hundreds of options to choose from. 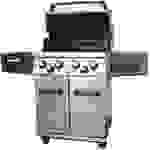 We put popular gas grills through a battery of tests in our labs and backyards. We tested preheat speeds, recorded temperature distribution, measured assembly time, and checked the built-in temperature gauges for accuracy. 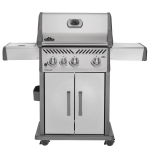 Now we've analyzed the data, and we can say with certainty that each of these grills offers something for everyone, including our favorite Napoleon Rogue 425 in Stainless (available at AJ Madison for $899.00). The Napoleon Rogue 425 is our favorite gas grill. Your local big box store may not have one in stock, but its combination of high-quality materials, ample 425-square-inch main grill surface, beautifully even cooking, and luxurious extras make it worth tracking down. Unless you're a barbecue aficionado, you may be unfamiliar with the Napoleon brand. Based in Ontario, Canada, Napoleon has been manufacturing grills north of the border since 1976, and has developed a reputation for quality and reliability that rivals better-known brands like Weber. Along with four capable burners, the Rogue 425 has stainless steel sear plates to prevent flare-ups, an infrared side burner, and folding stainless steel side shelves. And if you still find yourself torn between charcoal and propane, you'll be pleased to discover an optional tray that converts the grill into a charcoal pit. It took one person 90 minutes to put the Rogue 425 together, which was a little quicker than other grills. If you want to save some money, you can buy the Rogue 425 R425SB in black with a conventional side burner for just under seven hundred dollars. This saves you a couple hundred dollars on our top-rated Rogue 425 model. Aside from the finish, the only difference between the two grills is that the R425SB's side burner uses a standard gas flame instead of infrared heating. If you don't need a side burner at all, the base Rogue 425 sells for just under six hundred dollars. The grills are otherwise identical, and black enamel can often be easier to maintain than stainless. In our opinion, however, the money is well spent. This grill is constructed from high-quality materials and really feels like it's built to last. Weber has a reputation for longevity and reliability, and the Spirit is backed up by a 10-year warranty against corrosion and rust. 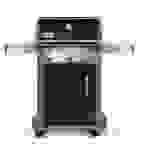 Parts are readily available, too—so a failed burner five years down the line won't ruin a barbecue. 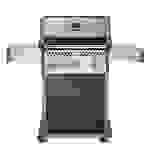 Just head to your local authorized Weber dealer for a replacement. The E-310 features a 529-square-inch cooking surface, three burners, porcelain-coated grates, and a porcelain-coated exterior for extra protection. It was bested by the Napoleon in our burger cooking tests, but it certainly wasn't a poor performer. If you’re a Weber loyalist or just want an incredibly well-made grill with lots of local parts availability, the Spirit E-310 is your best bet. But despite its high-end appearance and feature-rich design, the Regal 490 is more of a commoner than we thought. In our tests, we found heat distribution lagged below the Weber and Napoleon. That means you'll be able to cook well-done and medium-rare meat on the same grill, but you'll have to spend more time getting to know the hot and cool spots. It also took longer to preheat than most other grills in our tests. On the plus side, however, it takes only slightly longer than the Napoleon to assemble. If you're shopping for a new grill, check out our guide, The Best Grill Tongs.